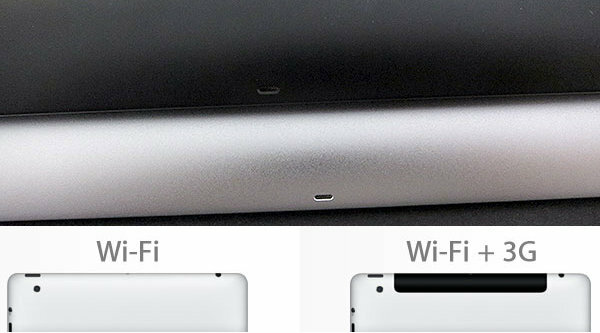 WiFi-only iPad 2 Better at Recording Sound than 3G Model? The cheaper, WiFi-only iPad 2 does not have the same wireless capabilities as its 3G counterpart, but for some tasks, it would appear that the device is a better performer. For instance, when it comes to recording sound via the embedded microphone, the quality of the recording is allegedly better with the WiFi-only model. The difference in quality was discovered by iLounge, while doing some audio recording tests on both WiFi-only and 3G-enabled iPad 2s. While at this stage, there is no clear explanation for the discrepancy, the site believes that the material used around the microphone could be the main reason. The microphone built in the WiFi-only iPad 2 rests within the device’s aluminum housing, while the microphone on the 3G model is embedded within the plastic antenna strip, on top of the device. Note that the issue is most noticeable when the iPad 2 is held vertically, with the screen facing the user, as the 3G-enabled iPad 2 seems to fare better when the device is held horizontally. Also note that for some strange reason, the at&t model seems to be less affected by the issue than the Verizon model.